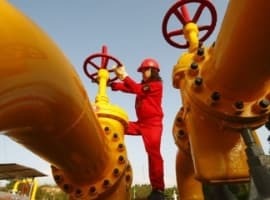 A day after the American Petroleum Institute reported an inventory build that some traders took as a surprise and started selling their oil holdings, the EIA confirmed a build, at 1.9 million barrels for the week to September 21. Prices, however, did not react particularly strongly amid a flurry of other news coming in. 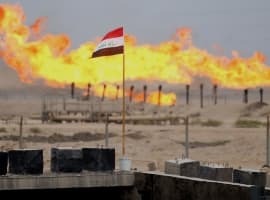 For starters, the U.S. special envoy for Iran told the UN that Washington will make sure there will be enough oil to go around when sanctions against Iran kick in after November 4. This weighed on prices a little. Meanwhile, the EU announced a plan to continue buying Iranian crude via a special-purpose vehicle for barter transactions. 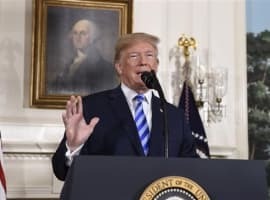 The news was bearish for oil, but some analysts expressed skepticism about the efficiency of the mechanism on the grounds that the U.S. could simply expand the scope of the sanctions to include barter deals between the EU and Iran. Amid all this, the EIA’s report that U.S. refineries processed 16.5 million barrels daily last week—a considerable reduction from a week earlier—and produced 9.8 million bpd of gasoline and 5 million bpd of distillate is likely to have a largely local effect, affecting West Texas Intermediate. As refinery maintenance season begins to be felt, stockpiles are bound to rise whatever demand expectations traders might have. Last week, gasoline stockpiles added 1.5 million barrels while distillate inventories went down by 2.2 million barrels. This compares with a 1.7-million-barrel draw for gasoline inventories a week earlier and an 800,000-barrel build for distillate inventories.